Bolton (54) — Tamia Aldridge 18, Keke Logan 11, Marquasia McGregory 8, Amelia Simpson 5, Keianna Thompson 6, Bree Tipton 6. Arlington (61) — Karlee Bates 13, Sarah Grandberry 1, Christina Nichols 10, Nya Stewart 6, Lanetta Williams 11, Lanyce Williams 3, Caitlyn Wilson 17. Central (72) — Brianna Cooks 34, Brittney Ivory 2, Kynadi Kuykendoll 5, Bionka Massie 9, Johne’ Stewart 13, Jireh Washington 9. White Station (68) — Quential Battle 13, Damiah Griffin 5, Kyla Harris 8, Zaire Hicks 13, Tamia Jones 10, Brittni Moore 19. Covington (38) — Tia Bland 16, Kiara Booker 2, Kayla Davis 2, Khylee Dowell 1, Destiny Foster 1, Malia Jarrett 4, Lamia Udley 7, M’dia Walker 5. 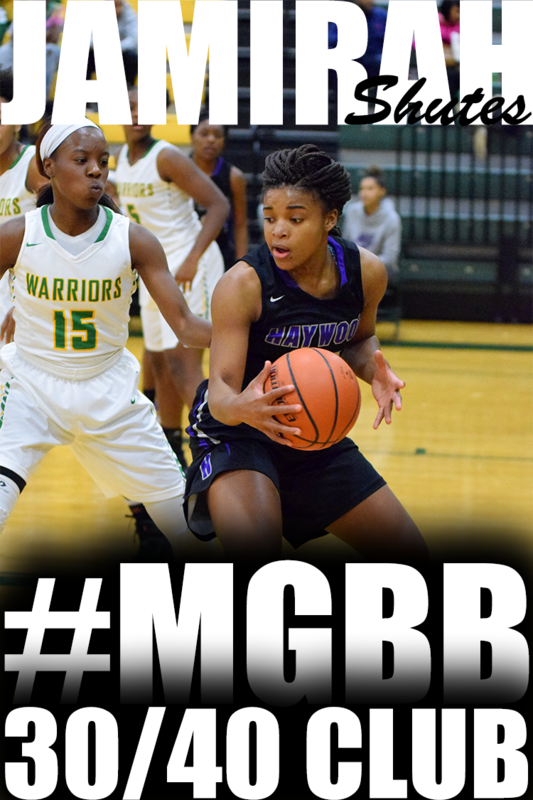 Haywood (67) — Takiyah Benton 6, Rashadoa Dancy 3, Laquita Calloway 6, Shadaesya Glover 2, Victoria Perry 2, Jamirah Shutes 34, Kelsy Shutes 2, Wandarkyu Young 12. Records — Covington 20-10, Haywood 24-8. Hardin Co. (38) — Bishop 4, Brewer 1, Cherry 9, Hunt 7, Mazanele 4, Stricklin 13. Bartlett (28) — Kennedy Crawford 7, Lenerra Gray 4, Makia Morris 2, Ashley Payne 9, Teaya Reaves 2, Kiya Sidney 2, Molly Word 2. Brighton (60) — Taliyah Brown 24, Kailey Hunt 6, Aubree Jones 5, Sylvia Jones 15, Lindsay Morrissett 6, Mary Grace Smith 4. Arlington (82) — Karlee Bates 2, Sarah Grandberry 3, Christina Nichols 13, Taylor Shanklin 2, Nya Stewart 14, Lanetta Williams 16, Lanyce Williams 7, Caitlyn Wilson 23, Tessa Brigman 2. Ridgeway (46) — Takesia Barnes 12, Secret Brown 2, Makala Cheatham 11, Elizabeth Dixon 4, Mericle Hall 9, Jessica Kelley 2, Fatimah Wells 6. Whitehaven (51) — Jasmine Carson 15, Dontrecia Johnson 6, Bianna Pettis 2, De’Aysia Reeder 2, Shmya Ward 18, Alexus Williams 3, Jayla Woods 5. Kirby (32) — Bryunna Buntyn 6, Anteria Jackson 6, Desirea Jackson 4, Taylor Merrill 6, Juantia Walton 10. White Station (74) — Quential Battle 10, Kayla Bradley 4, Israel Collins 2, Gigi Ford 2, Damiah Griffin 6, Kyla Harris 3, Zaire Hicks 6, Tamia Jones 20, Brittni Moore 13, Alaina Price 2, Taylor Williams 6. Central (62) — Eva Bailey 2, Brianna Cooks 15, Kailyn Downs 1, Brittney Ivory 1, Kynadi Kuykendoll 3, Bionka Massie 12, Johne’ Stewart 16, Jireh Washington 12. Collierville (48) — Trinity Farmer 8, Kyra Pryor 11, Jada Taylor 11, Lauren Taylor 18. Records — Central 25-5, Collierville 17-12. Ripley-Tenn. (43) — Zakayla Adams 10, Shelmesha Barbee 9, K. Bonds 2, T’Keyah Cooper 8, Amaria Currie 7, L. Doles 7. Trezevant (58) — Richara Cooper 6, Quinterria Foster 14, Sade Hudson 23, Brandy Shannon 13, Kearra Tucker 2. Covington (61) — Tia Bland 21, Kiara Booker 11, Destiny Foster 6, Malia Jarrett 5, Fa’teshjia Russell 2, Lamia Udley 12, M’dia Walker 4. Raleigh-Egypt (46) — Tasia Bland 15, Chardonney Brown 7, Zaykia Head 16, Britney Johnson 4, Whitney Smith 2, Ronni Williams 2. Records — Covington 20-9, Raleigh-Egypt 16-9. Scotts Hill (47) — Anderson 4, K. Maness 4, Gore 16, Alexander 8, Scott 12, H. Maness 3. Mitchell (67) — Vertonia Bady 16, Miata Borders 19, Demiya Grandberry 8, Chancey Jackson 2, Kiara McCollins 6, Ravann Rogers 5, Derinisha Taylor 11. Harpeth Hall (34) — Triplett 5, Hollins 2, Owens 11, Lowe 3, Hill 4, McDermoff 9. Briarcrest (52) — Alli Clarkson 2, Taylor Clemons 12, Anne Marie Hays 2, Morgan Hunt 8, Savanna Owens 23, Brianna Pope 5. Records — Harpeth Hall 12-14, Briarcrest 22-8. Ensworth (58) — Cambridge 16, C. Cowles 6, Doochin 2, Frist 8, Harris 3, Waggoner 13, Wynn 9, Whitson 1. St. Benedict (21) — Catalina Carrasco 2, Alyssa Denegri 2, Kristina Ferris 2, Lily Gleneck 3, Myah LeFlore 10, Lauren Neuhoff 2. Records — Ensworth 21-4, St. Benedict 14-14. The King’s Academy (27) — Baker 3, Judd 7, Blythe 7, Norris 3, Bouknight 3, Connaster 2, Collins 2. Northpoint (63) — Ashtyn Baker 14, Mason Branning 4, Micaela Brown 6, Lauren Gross 17, Amara McKay 2, Hannah Shafer 4, Jade Wells 11, Lindsey Whiteside 5. Records — The King’s Academy 13-13, Northpoint 27-2. Quarterfinal games will be hosted by the higher seeded teams while Jackson Christian will host the semifinals and finals. The region champ and the runner-up advance to the sub-state round. (4) Memphis Business Academy at (1) Middleton, 7 p.m.
(3) Riverside at (2) Booker T. Washington, 7 p.m.
(4) Scotts Hill at (1) Mitchell, 7 p.m.
(3) Power Center Academy at (2) Jackson Trinity Christian, 7 p.m.
MBA/Middleton winner vs. Riverside/BTW winner, 6 p.m. The winners of Friday and Saturday's games advance to the state tournament, which begins March 2 at Lipscomb University's Allen Arena in Nashville. (3) Hutchison at (1) Father Ryan, 7 p.m.
(3) Ensworth at (2) St. Benedict, 7 p.m.
(4) Chattanooga Baylor at (2) Brentwood Academy, 7 p.m.
(5) Harpeth Hall at (1) Briarcrest, 7 p.m.
(4) The King's Academy at (1) Northpoint, 3 p.m.
(3) Lausanne at (2) Battle Ground Academy, 4:30 p.m.
Bartlett (36) — MacKenzie Chandler 5, Lenerra Gray 3, Makia Morris 2, Ashley Payne 15, Teaya Reaves 5, Kiya Sidney 4, Molly Word 2. Arlington (74) — Karlee Bates 9, Sarah Grandberry 6, Christina Nichols 1, Taylor Shanklin 6, Nya Stewart 10, Lanetta Williams 14, Lanyce Williams 8, Caitlyn Wilson 20. Collierville (28) — Destiny Amaefula 4, Trinity Farmer 9, Kyra Pryor 4, Lauren Taylor 11. Houston (53) — Melisa Carter 9, Shaela Gardner 8, Madison Griggs 12, Jayla Hemingway 10, Sammiyah Hoskin 2, Shannon Sharp 3, Destinee Wells 8, Dariya Barnes 1. Whitehaven (35) — Jasmine Carson 12, Dontrecia Johnson 1, Bianna Pettis 8, Alexus Williams 6, Jayla Woods 8. White Station (58) — Kayla Bradley 3, Damiah Griffin 11, Kyla Harris 6, Zaire Hicks 7, Tamia Jones 9, Taelor Manning 6, Brittni Moore 4, Alexia Nightingale 3, Alaina Price 6, Taylor Williams 3. Trezevant (48) — Sachmere Bougard 9, Richara Cooper 8, Quinterria Foster 14, Sade Hudson 12, Brandy Shannon 5. Raleigh-Egypt (40) — Tasia Bland 14, Zaykia Head 5, Diamond Hunt 5, Whitney Smith 13, Ronni Williams 3. Washington (57) — Treanae Carter 2, Carnesha Griggs 7, Derrenisha Jackson 7, Asia Mosley 4, Hermeisha Perkins 4, Kaylen Perkins 3, Tramisha Rodgers 22, Crushia Wilkes 8. Mitchell (77) — Vertonia Bady 18, Miata Borders 9, Tashun Bryson 1, Demiya Grandberry 10, Chancey Jackson 6, Kiara McCollins 7, Ravann Rogers 3, Derinisha Taylor 23. St. Agnes (29) — Olivia Berntson 4, Caroline Pietrangelo 9, Lauren Ryan 2, Rachel Siano 3, Amelia Wigley 11. Hutchison (39) — Kaia Barnett 10, Kerrigan Braxton 7, Elizabeth Farnsworth 11, Jordan Groover 2, Carmyn Harrison 3, Maddie Prather 6. Cordova (48) — Courtney Albrecht 2, Kiyah Clark 24, Markia Henderson 8, Andreana Wrister 14. Bolton (67) — Tamia Aldridge 10, Christina Craft 3, Keke Logan 13, Marquasia McGregory 15, Amelia Simpson 3, Taylor Smith 6, Jaynia Sweezer 3, Keianna Thompson 8, Bree Tipton 6. Ridgeway (73) — Takesia Barnes 10, Secret Brown 3, Makala Cheatham 13, Elizabeth Dixon 30, Mericle Hall 12, Jessica Kelley 2, Fatimah Wells 3. Kirby (43) — Bryunna Buntyn 2, Naiya Harris 2, Anteria Jackson 3, Desirea Jackson 12, Taylor Merrill 4, Marshala Shelton 2, Alexandria Toles 4, Juantia Walton 14. Hamilton (49) — Danielle McAdams 8, Takya Reid 12, Tierra Reid 2, Tesia Thompson 16, Darry’l White 2, Kierra Wilkins 9. Central (50) — Montyria Bennett 1, Brianna Cooks 17, Kailyn Downs 2, Brittney Ivory 2, Kynadi Kuykendoll 6, Bionka Massie 8, Johne’ Stewart 12, Taylor Robinson 2. Sheffield (40) — Markquiuna Henry 7, Nikita Mays 11, Infinity Robinson 15, Kennice Wallace 3, Destiny White 4. Craigmont (50) — Kymbriah Eugene 6, Akeria James 11, Jayla Jones 5, Jessica Neal 13, Antinique Williams 2, Nakiyah Brown 9, Shaquaveria Hamilton 4. Power Center Aca. (31) — Tasia Dukes 2, Surina Finnie 10, Tatiana Gary 7, Tatianna Kimber 5, Kayla Williams 7. 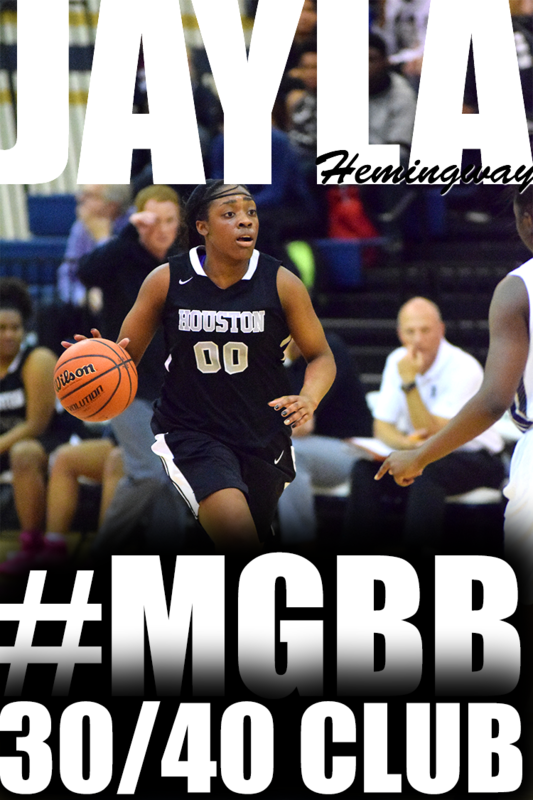 MBA (20) — Rikiyah Curtis 2, Simphany Gillard 4, Ashley Hopkins 4, Kamequa Rucker 10. Ripley-Tenn. (25) — Zakayla Adams 6, Shelmesha Barbee 4, Amaria Currie 11, Aaliyah Lee 4. Covington (47) — Tia Bland 14, Kiara Booker 10, Destiny Foster 3, Malia Jarrett 7, Fa’teshjia Russell 7, Trinity Taylor 2, Lamia Udley 2, M’dia Walker 2. Records — Ripley 16-11, Covington 19-9. USJ (33) — Ashton Hulme 6, Anna Jones 13, Emily Jones 2, Kaliegh Kwasigroh 2, Kallie Pickens 5, Taylor Tenpenny 4, Morgan Williams 1. Northpoint (49) — Ashtyn Baker 11, Lauren Gross 8, Hannah Shafer 8, Jade Wells 9, Lindsey Whiteside 13. Records — USJ 27-3, Northpoint 27-2. Lausanne (45) — Bre Bullock 4, Katherine DelPriore 8, Sarah Edwards 7, Taa’lor Fondren 4, Megan Lambert 9, Selena Pruitt 13. Harding (39) — Jacaila Davis 1, Alexandria Ellis 5, Sage Hawley 4, Hadley Horner 11, Antoinette Lewis 17, Carley Rhoads 1. St. Benedict (42) — Benise Duhart 3, Kristina Ferris 16, Lily Gleneck 9, Myah LeFlore 12, Lauren Neuhoff 2. Briarcrest (60) — Taylor Clemons 14, Morgan Hunt 19, Savanna Owens 15, Brianna Pope 7, Jewel Robinson 1, Alex Tiatia 4. Records — St. Benedict 14-13 (4-2, Division 2-AA), Briarcrest 21-8 (6-0). Cordova (28) — Kiyah Clark 14, Sadie Williams 3, Andreana Wrister 5, N. Valentine 6. Arlington (47) — Karlee Bates 9, Sarah Grandberry 2, Christina Nichols 7, Nya Stewart 7, Lanetta Williams 4, Lanyce Williams 4, Caitlyn Wilson 14. Records — Cordova 10-15, Arlington 20-8. Kirby (21) — Bryunna Buntyn 7, Taylor Merrill 2, Marshala Shelton 5, Alexandria Toles 2, Juantia Walton 5. Houston (75) — Melisa Carter 6, Shaela Gardner 9, Madison Griggs 9, Jayla Hemingway 29, Sammiyah Hoskin 8, Rochelle Lee 2, Shannon Sharp 3, Destinee Wells 2, Annabelle Woodileaf 2, Dariya Barnes 5. Ridgeway (33) — Takesia Barnes 7, Makala Cheatham 11, Elizabeth Dixon 6, Mericle Hall 7, Fatimah Wells 2. Collierville (41) — Nadia Baker 2, Trinity Farmer 5, Kyra Pryor 13, Alexis Taylor 7, Jada Taylor 1, Lauren Taylor 13. Records — Ridgeway 14-10, Collierville 17-10. MBA (21) — Rikiyah Curtis 2, Simphany Gillard 9, Ashley Hopkins 4, Kamequa Rucker 6. Mitchell (68) — Vertonia Bady 22, Miata Borders 9, Demiya Grandberry 2, Shakirra Hearn 3, Chancey Jackson 4, Kiara McCollins 9, Derinisha Taylor 19. Records — MBA 19-6, Mitchell 26-3. Harding (29) — Alexandria Ellis 8, Sage Hawley 4, Antoinette Lewis 13, Carley Rhoads 4. USJ (40) — Ashton Hulme 15, Anna Jones 6, Kallie Pickens 13, Taylor Tenpenny 6. Lausanne (44) — Bre Bullock 2, Hagan Carter 2, Katherine DelPriore 14, Taa’lor Fondren 4, Megan Lambert 3, Selena Pruitt 15, Kristen Wright 4. Northpoint (66) — Ashtyn Baker 18, Lauren Gross 16, Amara McKay 2, Hannah Shafer 7, Jade Wells 12, Lindsey Whiteside 11. Records — Lausanne 20-10, Northpoint 26-2. Hutchison (56) — Kaia Barnett 18, Kerrigan Braxton 3, Elizabeth Farnsworth 4, Jordan Groover 6, Carmyn Harrison 2, Macy McCullough 4, Madison Moore 10, Maddie Prather 5, Shade Webb 2, Madison Smith 2. St. Agnes (23) — Marisa Lewis 2, Caroline Pietrangelo 15, Lauren Ryan 5, Rachel Siano 1. Records — St. Agnes 7-14 (0-6, Division 2-AA). Hardin Co. (17) — Bishop 3, Brewer 4, Stricklin 6, Turner 2, Roberts 2. Munford (32) — DeAsha Banks 2, Gabby Crawford 15, Ali Gover 3, Shania Johnson 8, Johnna Jones 4. Whitehaven (55) — Jasmine Carson 11, Bianna Pettis 7, Shmya Ward 19, Alexus Williams 2, Ariel Williams 10, Jayla Woods 6. Central (50) — Eva Bailey 4, Brianna Cooks 6, Kynadi Kuykendoll 5, Ariel Lane 2, Bionka Massie 11, Johne’ Stewart 15, Jireh Washington 7. Trezevant (64) — Sachmere Bougard 4, Richara Cooper 14, Kiara Dale 1, Quinterria Foster 26, Sade Hudson 9, Emma Jackson 1, Brandy Shannon 6, Kearra Tucker 3. Sheffield (48) — Alexis Jones 6, Nikita Mays 17, Infinity Robinson 11, Damonike Shipp 6, Kennice Wallace 5, Destiny White 3. Power Center Aca. (39) — Surina Finnie 18, Tatiana Gary 6, Tatianna Kimber 1, Zebrianna Lee 10, Kayla Williams 4. Washington (40) — Treanae Carter 9, Carnesha Griggs 5, Derrenisha Jackson 7, Asia Mosley 4, Tramisha Rodgers 5, Crushia Wilkes 10. Mitchell vs MBA, 6 p.m. Third-place game: Power Center vs. Memphis Business Academy, 6 p.m.
Championship: BTW vs. Mitchell, 6 p.m.
Semifinal, (1) Raleigh-Egypt vs. (4) Craigmont, 6 p.m. Third-place game, (2) Sheffield vs. (4) Craigmont, 6 p.m.
Championship, (3) Trezevant vs. (1) Raleigh-Egypt, 6 p.m.
(2) Bolton vs. (3) Bartlett, 6 p.m.
(1) Arlington vs. Cordova winner, 6 p.m. Third-place game: (2) Bolton vs. (4) Cordova, 6 p.m.
Kingsbury (27) — Marrisha Bell 1, Angilena Couch 4, Keyuna Couch 5, Mwavita Neema 6, Dariel Ray 2, Diamond Wray 9. Cordova (58) — Courtney Albrecht 2, Sasha Chambliss 4, Kiyah Clark 16, Markia Henderson 7, Sadie Williams 11, Andreana Wrister 18. Wooddale (20) — Terrika Hunt 3, Tarsha Ivory 12, Takayla Roach 1, Briana Williams 3, Brianca Williams 1. Collierville (87) — Destiny Amaefula 8, Nadia Baker 2, Trinity Farmer 12, Gabby Harris 2, Kyra Pryor 16, Destiny Shaw 9, Alexis Taylor 5, Jada Taylor 13, Lauren Taylor 20. Germantown (26) — Tahirah Bell 4, Cayla Cox 4, Destinee Manning 11, Danielle Moore 3, Carria Smith 3, Tenitra Wilson 1. Ridgeway (48) — Takesia Barnes 1, Secret Brown 5, Makala Cheatham 11, Elizabeth Dixon 15, Mericle Hall 13, Fatimah Wells 3. Hamilton (48) — Nicole Buchanan 12, Danielle McAdams 2, Takya Reid 2, Tesia Thompson 22, Darry’l White 2, Kierra Wilkins 8. White Station (60) — Quential Battle 8, Kayla Bradley 4, Damiah Griffin 12, Zaire Hicks 18, Tamia Jones 5, Brittni Moore 8, Taylor Williams 5. Records — White Station 22-3. City University (31) — Taylor Allen 18, Jalecia Cowan 1, Miracle Gober 4, Grace Hearns 2, Acacia Phillips 2, Jada Smith 4. MBA (39) — Rikiyah Curtis 5, Simphany Gillard 13, Ashley Hopkins 9, Kamequa Rucker 12. Power Center Aca. (44) — Sierra Drew 5, Surina Finnie 19, Tatiana Gary 8, Tatianna Kimber 2, Zebrianna Lee 3, Kayla Williams 7. W.E.B. DuBois (34) — Alexis Acoff 26, Madelyn Acoff 3, Diamond Nelson 5. MAHS (43) — Alexis Davis 5, Tierney Echols 19, Joi Gary 12, Kaithyn Hunter 1, Venesha Jett 2, Christinna Owens 4. Washington (81) — Angela Bowie 1, Treanae Carter 4, Derrica Crumpton 2, Carnesha Griggs 9, Derrenisha Jackson 31, Tranevious Jackson 2, Asia Mosley 10, Tramisha Rodgers 18, Johnesha Walker 2, Brianna White 2. GRAD Academy (37) — Andrica Barnes 4, Shantel Collins 6, Ayana Coppage 3, Anteresa Dickson 6, Bianca Duckett 4, Jamia Ruffin 6, Shauna Taylor 4, Dorothy Wright 4. Mitchell (75) — Vertonia Bady 21, Miata Borders 11, Tashun Bryson 2, Demiya Grandberry 4, Chancey Jackson 2, Kiara McCollins 17, Derinisha Taylor 18. St. Benedict (76) — Catalina Carrasco 8, Kristina Ferris 17, Lily Gleneck 14, Myah LeFlore 32, Lauren Neuhoff 2, Katherine Vassallo 2, Alyssa Williams 1. Dyer Co. (73) — Alexis Akins 15, Katelyn Anderson 3, Nakeeva Brandon 2, Torri Daniels 9, Jamy’a Glenn 7, Aly Hollingsworth 2, Amaria Pugh 35. Records — St. Benedict 14-12, Dyer Co. 18-8. Briarcrest (62) — Taylor Clemons 8, Anne Marie Hays 12, Morgan Hunt 22, Savanna Owens 10, Jewel Robinson 3, Vi Stuart 1, Alex Tiatia 2, Rochelle Wheeler 4. Hutchison (43) — Kaia Barnett 2, Kerrigan Braxton 5, Elizabeth Farnsworth 8, Jordan Groover 4, Carmyn Harrison 4, Macy McCullough 5, Madison Moore 6, Maddie Prather 9. Records — Briarcrest 20-8 (5-0, Division 2-AA), Hutchison 14-10 (1-5). Overton (17) — Jasmine Beason 5, Charnita Brooks 6, Sabrina Harrold 2, Kelsi House 2, Safharee Scruggs 2. Central (74) — Charity Balfour 4, Montyria Bennett 4, Asia Brooks 4, Brianna Cooks 16, Kailyn Downs 6, Ariel Lane 4, Bionka Massie 7, Faith Rodgers 1, Johne’ Stewart 12, Jireh Washington 16. Manassas (46) — Latonia Farley 6, Uria Milon 10, Kyla Proctor 10, Charlesetta Riley 2, Starkisha Saine 2, Markeisha Scott 14, Timia Taylor 2. Craigmont (61) — Kymbriah Eugene 13, Akeria James 15, Jayla Jones 5, Antinique Williams 5, Nakiyah Brown 16, Shaquaveria Hamilton 7. Douglass (38) — Monya Cross 1, Jennifer Fletcher 12, Amber Garrett 4, Antonika Jones 15, Leauntrest Readus 4, Xavier Richardson 2. Trezevant (66) — Erissa Bland 3, Sachmere Bougard 7, Richara Cooper 11, Quinterria Foster 9, Sade Hudson 16, Emma Jackson 2, Raven Lockett 3, Brandy Shannon 10, Kearra Tucker 4, Jaquiesha Vaughn 1. Westwood (41) — Carleesia Austin 12, Markelia Burton 4, Jamira Jenkins 3, Jasmyn Long 6, Patrice Northington 10, Kasie Shannon 2, Kadaisha White 4. Sheffield (45) — Markquiuna Henry 4, Alexis Jones 6, Nikita Mays 12, Infinity Robinson 18, Cabria Thomas 5. 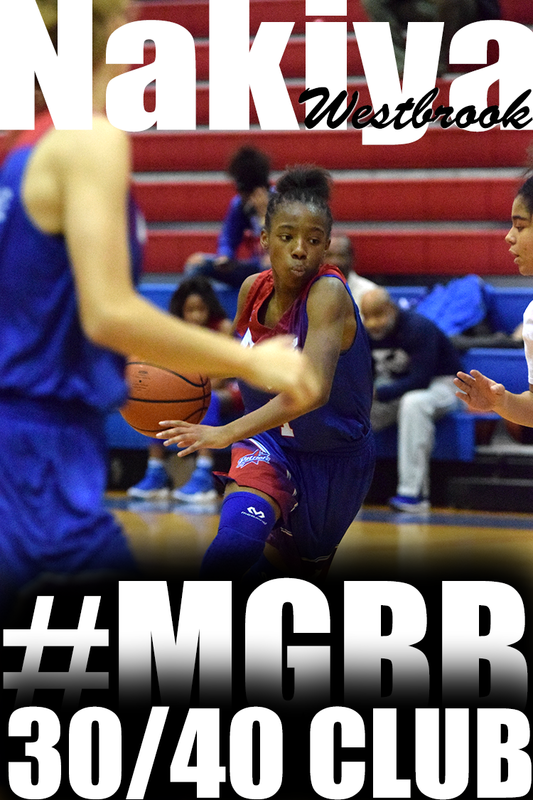 MLK Prep (29) — Dyrianda Johnson 14, Timeria McCullough 6, Quiesha Page 2, Timyja Threlkeld 7. Raleigh-Egypt (72) — Tasia Bland 17, Chardonney Brown 6, Taliyah Davis 2, Zaykia Head 12, Diamond Hunt 5, Britney Johnson 16, Ronni Williams 14. St. Mary’s (26) — Hattie Fogarty 2, Kate Herzke 6, Jean Jackson 6, Joy Jackson 3, Evelyn Roberts 8, Mary Harper Robinson 1. Harding (66) — Jacaila Davis 3, Alexandria Ellis 11, Sage Hawley 10, Hadley Horner 6, Antoinette Lewis 22, Carley Rhoads 14. Lausanne (43) — Bre Bullock 9, Hagan Carter 4, Katherine DelPriore 7, Sarah Edwards 2, Megan Lambert 3, Selena Pruitt 16, Kristen Wright 2. Tipton-Rosemark Aca. (35) — Kallie Alexander 3, Jordan Allen 10, Brianna Hall 11, Megan Sanfratello 8, Abby West 3. Records — Tipton-Rosemark Aca. 18-9. St. George’s (38) — Brook Goodman 2, Ann Grissom 8, Anna Larizza 8, Gracie Maiden 4, Ginny McCarrol 3, Adi Thrasher 13. Northpoint (66) — Ashtyn Baker 21, Micaela Brown 2, Lauren Gross 11, Amara McKay 4, Hannah Shafer 5, Jade Wells 13, Lindsey Whiteside 10. Lausanne (76) — Bre Bullock 7, Hagan Carter 8, Katherine DelPriore 13, Sarah Edwards 8, Taa’lor Fondren 6, Addie Haverkost 2, Megan Lambert 2, Selena Pruitt 24, Kristen Wright 6. Margolin Hebrew Aca. (8) — Rebecca Brown 8. Melrose (16) — Keonna Conner 5, Kayla Johnson 4, Jatera Miller 2, Destinee Wallace 5. Whitehaven (73) — Jasmine Carson 12, Paige Harris 3, Dontrecia Johnson 8, Lakieria Jones 1, Bianna Pettis 8, Shmya Ward 13, Alexus Williams 13, Ariel Williams 3, Jayla Woods 10, Zarreia Johnson 2. Middle College (28) — Genesis Braden 4, Brittany Combest 6, Ravia Crawford 6, Tierra Jackson 10, Candace McGowan 2. City University (44) — Taylor Allen 8, Carolyn Cowan 3, Jalecia Cowan 2, Miracle Gober 16, Grace Hearns 2, Acacia Phillips 8, Destyni Taylor 2, Kenya Wilson 3. KIPP (44) — Bria Brown 4, Brianna Brown 2, Kristina Brown 6, Jocelyn Carr 9, Deshauna Clark 3, Darlona Gooden 2, Shatera Howard 11, Akia Payton 5, Destinee Thomas 2. MAHS (50) — Kelsea Braddock 2, Tierney Echols 12, Joi Gary 19, Venesha Jett 9, Christinna Owens 8. MASE (52) — Kayla Foster 7, Crystal Henderson 2, Jerkisha Mays 1, Rebekah Mitchell 13, Kyla Moore 4, Shernika Spencer 21, Precious Stornes 4. GRAD Academy (61) — Andrica Barnes 4, Jasmine Collins 6, Shantel Collins 10, Ayana Coppage 1, Anteresa Dickson 21, Bianca Duckett 6, Jamia Ruffin 2, Shauna Taylor 4, Dorothy Wright 7. Soulsville (38) — Brianna Brown 2, Christin Burnett 2, Oreanna Jones 13, Antayisa Lott 3, Dezaria Powers 2, O. Smith 14, Tianna Smith 2. 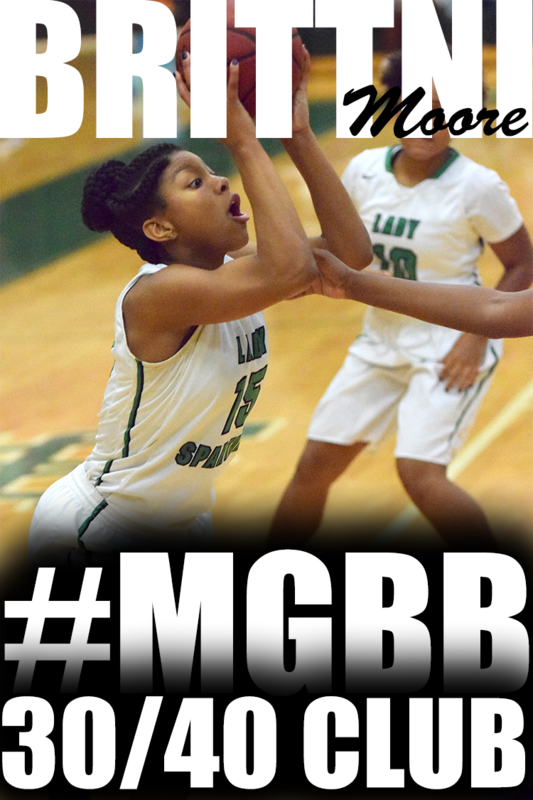 MBA (64) — Toni Adair 2, Rikiyah Curtis 14, Simphany Gillard 13, Ashley Hopkins 2, Kamequa Rucker 33. Freedom Prep (12) — S. Jones 2, T. Lee 3, K. Waller 7. Mitchell (104) — Vertonia Bady 26, Miata Borders 16, Tashun Bryson 14, Demiya Grandberry 5, Chancey Jackson 14, Kierra Lee 6, Kiara McCollins 14, Ravann Rogers 9. Memphis School of Excellence (5) — Cassandra Brown 2, Iyanna Staley 1, Shantell Turner 2. Power Center Aca. (61) — Tasia Dukes 4, Surina Finnie 23, Tatiana Gary 7, Tatianna Kimber 8, Zebrianna Lee 10, Hanna Powell 3, Kayla Williams 6. Hillcrest (21) — C. Dolby 10, Annitre Jackson 2, Kadeeja Patterson 9. Washington (73) — Treanae Carter 8, Carnesha Griggs 5, Derrenisha Jackson 22, Tranevious Jackson 2, Kaija McDaniel 3, Asia Mosley 2, Hermeisha Perkins 6, Sidney Reed 2, Tramisha Rodgers 15, Johnesha Walker 6, Crushia Wilkes 2. Sacred Heart (30) — Katy Chounard 4, Kristan Derrick 4, Gale Fitzgerald 6, Hannah Fitzgerald 13, Olmar Sanz 3. Catholic (61) — Zareia Ector 18, Tia Flowers 23, Harmony Lucas 10, Leah Seals 4, Cheyenne Smith 2, Shania Smith 4. St. Mary’s (36) — Lucy Chancellor 4, Jean Jackson 11, Margie Peeler 6, Evelyn Roberts 6, Mary Harper Robinson 9. Fayette Aca. (33) — Sarah Layne Ellis 2, Emily Hunt 1, Lauren Lessel 8, Megan McClure 13, Lizzie Rhea 2, Alex Wadley 7. ECS (43) — Emma Baltz 2, Kate Lyons 5, Molly Martin 14, Ava Newhouse 2, Madeline Slater 15, Adrienne Teed 5. St. George’s (46) — Abbie Cloutier 2, Brook Goodman 2, Ann Grissom 15, Grace Kinley 11, Anna Larizza 4, Adi Thrasher 12. POPOTV: Arlington 2019 5'10 Shooting Guard Caitlyn Wilson developed a reputation for being a knock down 3 point shooter as a freshman. During the off season, Caitlyn executed a plan to add more to her skill set. Others receiving 12 or more points: Lawrence County 12. Others receiving 12 or more points: Pearl-Cohn 16. (1) Northpoint vs. (3) Lausanne, 3:30 p.m.
(2) Harding vs. (1) USJ, 6:30 p.m. Victory Baptist-Ga. (36) — Bush 2, Halwood 18, Hughes 9, Kikuchi 2, O. Jeffers 1, M. Jeffers 4. Macon Road (42) — RJ Allen 4, Janina Alpizar 2, Sophie Fuqua 8, Hope Howlett 5, Emma Lutz 2, Katie Smith 16, Bre Wilson 5. Washington (49) — Carnesha Griggs 11, Derrenisha Jackson 23, Asia Mosley 6, Hermeisha Perkins 3, Kaylen Perkins 2, Crushia Wilkes 4. Mitchell (74) — Vertonia Bady 23, Miata Borders 17, Tashun Bryson 1, Demiya Grandberry 7, Kiara McCollins 8, Derinisha Taylor 18. Bolton (44) — Tamia Aldridge 6, Christina Craft 7, Aliya Lee 2, Keke Logan 12, Amelia Simpson 6, Keianna Thompson 2, Bree Tipton 9. Arlington (58) — Sarah Grandberry 4, Christina Nichols 7, Taylor Shanklin 2, Nya Stewart 11, Lanetta Williams 18, Lanyce Williams 8, Caitlyn Wilson 8. Records — Bolton (6-2, 14-AAA), Arlington 19-8 (8-0). Liberty Tech (57) — Jaquesha Franklin 1, Imani Haynes 7, Martenia Huntsman 4, Iya Jones 14, Aleysia Mason-Pavia 19, Tyeshia Palmer 6, Latesha Sinclair 6. Covington (66) — Tia Bland 12, Kiara Booker 34, Destiny Foster 5, Lamia Udley 15. Records — Liberty Tech 6-10 (4-6, 15-AA), Covington 18-8 (8-2). Catholic (37) — Zareia Ector 14, Tia Flowers 14, Deyon Gibson 3, Harmony Lucas 3, Leah Shaw 1, Shania Smith 2. ECS (33) — Molly Martin 26, Ava Newhouse 2, Madeline Slater 5. Records — Catholic 15-9 (6-6, Division 2-A), ECS 10-13 (4-8). Lewisburg (34) — Jessica Deming 8, Claire Fleming 14, Kelsey Fulwood 2, Andrea Rayford 10. Hernando (48) — Dunlap 8, R. Greer 12, Doyle 5, Merriweather 7, Wolfe 4, A. Greer 7, Roberson 5. Collierville (46) — Trinity Farmer 12, Kyra Pryor 9, Destiny Shaw 1, Alexis Taylor 11, Jada Taylor 7, Lauren Taylor 6. Houston (59) — Melisa Carter 12, Shaela Gardner 5, Madison Griggs 7, Jayla Hemingway 17, Sammiyah Hoskin 3, Rochelle Lee 5, Destinee Wells 10. Harding (39) — Jacaila Davis 2, Alexandria Ellis 7, Sage Hawley 6, Antoinette Lewis 16, Carley Rhoads 8. Lausanne (45) — Bre Bullock 9, Katherine DelPriore 15, Taa’lor Fondren 6, Megan Lambert 4, Selena Pruitt 9, Kristen Wright 2. Records — Harding 22-6 (9-3, Division 2-A), Lausanne 18-9 (9-3). Dyer Co. (54) — Alexis Akins 3, Katelyn Anderson 10, Nakeeva Brandon 2, Torri Daniels 14, Jamy’a Glenn 12, Arianna Patterson 2, Amaria Pugh 11. Munford (70) — DeAsha Banks 11, Gabby Crawford 12, Ali Gover 5, Shania Johnson 18, Johnna Jones 16, Kennisha Mason 8. Records — Munford 20-6 (4-1, 13-AAA). FACS (45) — Katelyn Reed 12, Mallory Ruhl 8, Madison Spain 17, Gabbie White 4, MacKenzie Youd 4. Northpoint (69) — Ashtyn Baker 16, Micaela Brown 2, Allie Enders 8, Hallie Goodwin 1, Lauren Gross 8, Hannah Shafer 3, Caroline Swindoll 3, Jade Wells 17, Lindsey Whiteside 11. Records — FACS 2-19 (0-12, Divison 2-A), Northpoint 24-2 (12-0). Kirby (53) — Bryunna Buntyn 1, Anteria Jackson 12, Desirea Jackson 22, Taylor Merrill 2, Juantia Walton 16. Ridgeway (49) — Takesia Barnes 11, Secret Brown 2, Makala Cheatham 9, Elizabeth Dixon 21, Mericle Hall 6. St. Agnes (25) — Olivia Berntson 6, Marisa Lewis 2, Caroline Pietrangelo 6, Rachel Siano 2, Amelia Wigley 9. St. Benedict (47) — Catalina Carrasco 9, Alyssa Denegri 2, Benise Duhart 1, Kristina Ferris 3, Lily Gleneck 2, Myah LeFlore 28, Lauren Neuhoff 2. Records — St. Agnes 7-13 (0-5, Division 2-AA), St. Benedict 13-12 (4-1). Cordova (46) — Courtney Albrecht 2, Sasha Chambliss 1, Kiyah Clark 18, Markia Henderson 6, Sadie Williams 8, Andreana Wrister 11. Bartlett (50) — MacKenzie Chandler 2, Kennedy Crawford 3, Lenerra Gray 4, Toni Green 5, Hannah Patterson 2, Ashley Payne 23, Teaya Reaves 4, Kiya Sidney 4, Molly Word 3. Records — Bartlett 9-14 (4-4, 14-AAA). Brighton (46) — Taliyah Brown 12, Aubree Jones 8, Sylvia Jones 15, Lindsay Morrissett 6, Mary Grace Smith 5. Covington (61) — Tia Bland 9, Kiara Booker 19, Brinley Cousar 2, Kayla Davis 2, Khylee Dowell 4, Destiny Foster 8, Trinity Taylor 1, M’dia Walker 16. Records — Brighton 7-15, Covington 17-8. St. Mary’s (51) — Kate Herzke 6, Olivia House 2, Jean Jackson 6, Joy Jackson 6, Jessica Lewis 2, Margie Peeler 7, Evelyn Roberts 17, Mary Harper Robinson 5. FACS (35) — Emily Delugach 2, Katelyn Reed 13, Madison Spain 7, Gabbie White 2, MacKenzie Youd 5, Brooke Johnson 6. Washington (67) — Treanae Carter 7, Derrica Crumpton 2, Carnesha Griggs 10, Derrenisha Jackson 17, Kaija McDaniel 4, Asia Mosley 2, Hermeisha Perkins 2, Kaylen Perkins 6, Johnesha Walker 5, Brianna White 6, Crushia Wilkes 6. Douglass (38) — Charity Cooper 2, Amber Garrett 5, Antonika Jones 29, Vekia Richardson 2. Raleigh-Egypt (67) — Tasia Bland 21, Chardonney Brown 10, Tamiya Hall 1, Zaykia Head 13, Britney Johnson 14, Whitney Smith 3, Ronni Williams 5. Sheffield (33) — Markquiuna Henry 4, Nikita Mays 16, Infinity Robinson 3, Kennice Wallace 4, Destiny White 6. Records — Raleigh-Egypt 14-7 (10-2, 16-AA), Sheffield 17-5 (10-2). Macon Road (44) — RJ Allen 10, Janina Alpizar 8, Hope Howlett 2, Anastasia Kirkpatrick 4, Katie Smith 16, Bre Wilson 2, Sophie Faqua 2. Brinkley Heights (19) — Stone-Bailey 6, Durham 3, Mitchum 8, James 2. 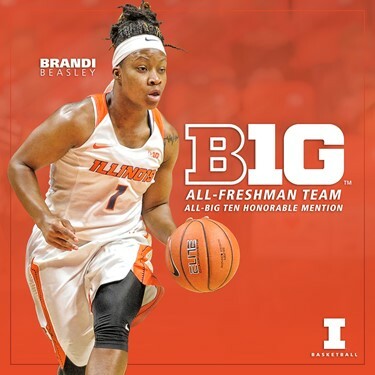 Washington (38) — Angela Bowie 3, Treanae Carter 5, Derrica Crumpton 2, Carnesha Griggs 9, Derrenisha Jackson 9, Kaija McDaniel 2, Asia Mosley 4, Kaylen Perkins 2, Crushia Wilkes 2. Briarcrest (76) — Alli Clarkson 8, Taylor Clemons 6, Anne Marie Hays 3, Caitlin Hunt 2, Morgan Hunt 22, Savanna Owens 23, Brianna Pope 3, Hannah Rendall 3, Jewel Robinson 4, A.D. Streetman 2. Records — Washington 17-6, Briarcrest 19-8. Bolton (76) — Tamia Aldridge 23, Christina Craft 4, Tyler Garner 2, Aliya Lee 2, Keke Logan 15, Marquasia McGregory 3, Amelia Simpson 5, Zoe Simpson 1, Taylor Smith 5, Jaynia Sweezer 1, Keianna Thompson 5, Bree Tipton 6, Sophie Williams 4. Cordova (36) — Sasha Chambliss 8, Kiyah Clark 4, Mami Davis 2, Markia Henderson 3, Mya Robinson 2, Sadie Williams 3, Andreana Wrister 12, J. Edwards 2. Records — Bolton 10-12 (6-1, 14-AAA), Cordova (2-5). 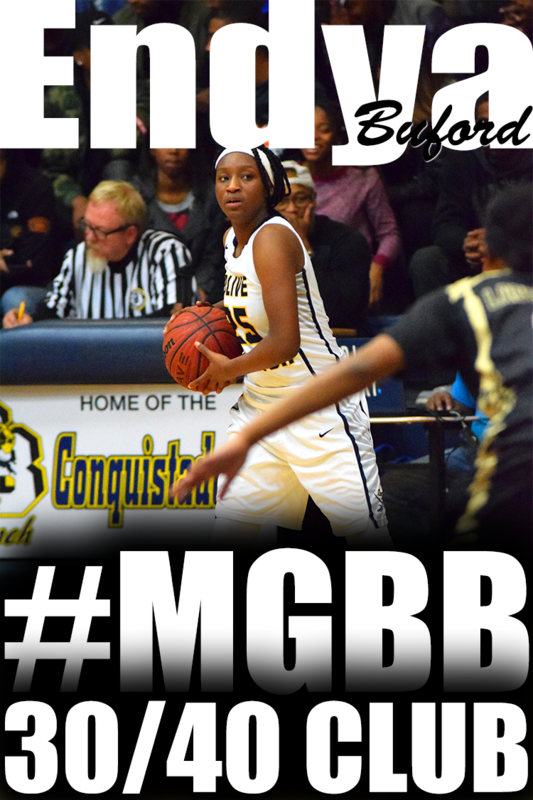 Lausanne (42) — Bre Bullock 8, Katherine DelPriore 7, Sarah Edwards 8, Taa’lor Fondren 8, Selena Pruitt 9, Kristen Wright 2. ECS (33) — Emma Baltz 2, Molly Martin 26, Ava Newhouse 4, Madeline Slater 1. Records — Lausanne 17-9 (8-3, Division 2-A), ECS 10-12 (4-8). Catholic (42) — Zareia Ector 21, Tia Flowers 14, Harmony Lucas 5, Shania Smith 2. FACS (37) — Katelyn Reed 12, Madison Spain 7, Gabbie White 3, Riley Willard 15. Tipton-Rosemark Aca. (47) — Jordan Allen 12, Brianna Hall 15, Brittany Hall 8, Megan Sanfratello 4, Abby West 8. Fayette Aca. (35) — Sarah Layne Ellis 2, Lauren Lessel 10, Megan McClure 14, Hayley Moffatt 2, Morgan Reed 3, Alex Wadley 4. Records — Tipton-Rosemark Aca. 18-7, Fayette Aca. 15-10. Wooddale (32) — Tarsha Ivory 4, Takayla Roach 15, Brianca Williams 13. Germantown (55) — Tahirah Bell 4, Cayla Cox 2, Kristen Jones 2, Destinee Manning 16, Danielle Moore 11, Carria Smith 10, Kourtney Wallace 7, Janai Williams 1, Tenitra Wilson 2. Records — Germantown 11-16 (4-8, 15-AAA). Covington (61) — Tia Bland 12, Kiara Booker 20, Kayla Davis 2, Khylee Dowell 2, Malia Jarrett 12, M’dia Walker 13. Haywood (65) — Takiyah Benton 8, Laquita Galloway 18, Victoria Perry 8, Wandarkyu Young 9, Kelsy Shutes 19, Keontavis Alford 3. Records — Covington 16-8 (7-2, 15-AA), Haywood 20-8 (9-0). GRAD Academy (53) — Andrica Barnes 8, Erica Boler 4, Jasmine Collins 4, Shantel Collins 8, Ayana Coppage 4, Anteresa Dickson 22, Bianca Duckett 1, Shauna Taylor 2. KIPP (46) — Bria Brown 7, Jocelyn Carr 4, Deshauna Clark 6, Darlona Gooden 1, Shatera Howard 11, Anterraka Malone 10, Akia Payton 7. Records — GRAD Academy 10-6, KIPP 9-11. Arlington (71) — Karlee Bates 6, Alexi Bonds 4, Kihra Borders 4, Sarah Grandberry 8, Christina Nichols 11, Taylor Shanklin 3, Nya Stewart 10, Lanetta Williams 12, Caitlyn Wilson 13. Kingsbury (21) — Angilena Couch 5, Keyuna Couch 6, Mwavita Neema 4, Dariel Ray 5, Diamond Wray 1. Records — Arlington 18-8 (7-0, 14-AAA), Kingsbury 3-18. Houston (82) — Melisa Carter 8, Shaela Gardner 8, Madison Griggs 10, Jayla Hemingway 23, Sammiyah Hoskin 2, Rochelle Lee 15, Destinee Wells 18. Kirby (27) — Bryunna Buntyn 2, Anteria Jackson 6, Desirea Jackson 8, Marshala Shelton 3, Juantia Walton 8. Records — Houston 20-3 (11-0, 15-AAA), Kirby 6-13 (3-8). Central (53) — Eva Bailey 4, Montyria Bennett 2, LaTerrica Black 2, Brianna Cooks 6, Kailyn Downs 2, Brittney Ivory 2, Kynadi Kuykendoll 2, Ariel Lane 8, Bionka Massie 5, Johne’ Stewart 10, Jireh Washington 10. Melrose (23) — Janiya Carlton 3, Kayla Johnson 6, Joelysa Spencer 10, Destinee Wallace 2, Zanndrea Watkins 2. Records — Central 22-4, Melrose 7-17 (2-6, 16-AAA). Ripley-Tenn. (47) — Zakayla Adams 3, Shelmesha Barbee 15, T’Keyah Cooper 9, Amaria Currie 12, Lee 2, Bonds 5, Lambert 1. Millington (28) — Traci Clark 6, Keyanna Jones 9, Marquisha Sanders 13. MHEA (47) — Annaliese Burnett 5, Ramila Carruthers 2, Kamille Clark 2, Gigi Lewis 4, Kylie Loadholt 18, Lindsey Vaughn 16. Munford (40) — DeAsha Banks 3, Gabby Crawford 15, Shania Johnson 6, Johnna Jones 13, Kennisha Mason 3. Harding (39) — Alexandria Ellis 8, Sage Hawley 4, Hadley Horner 2, Antoinette Lewis 17, Carley Rhoads 6, Nicole Savage 2. Northpoint (72) — Ashtyn Baker 18, Lauren Gross 4, Amara McKay 2, Hannah Shafer 23, Jade Wells 7, Lindsey Whiteside 18. Records — Harding 22-5 (9-2, Division 2-A), Northpoint 23-2 (11-0). Collierville (47) — Destiny Amaefula 3, Trinity Farmer 11, Kyra Pryor 4, Alexis Taylor 5, Jada Taylor 9, Lauren Taylor 14, Ellie Willard 1. Ridgeway (50) — Takesia Barnes 2, Secret Brown 10, Makala Cheatham 5, Elizabeth Dixon 22, Mericle Hall 7, Jamilla Hamlett 2, Fatimah Wells 2. St. Mary’s (33) — Lucy Chancellor 7, Olivia House 2, Jean Jackson 8, Joy Jackson 4, Evelyn Roberts 6, Mary Harper Robinson 6. St. Agnes (47) — Olivia Berntson 14, Bridget Dockery 1, Kayton Foulks 1, Lauren Lewis 8, Marisa Lewis 4, Caroline Pietrangelo 8, Lauren Ryan 3, Rachel Siano 4, Amelia Wigley 4. Southaven (52) — Jenna Cunningham 6, Emily Evans 5, Erica Jones 25, Tann Metcalf 3, Tye Metcalf 8, Deresiree Williams 2, Dereseia Randle 3. St. Benedict (43) — Catalina Carrasco 5, Kristina Ferris 16, Lily Gleneck 1, Myah LeFlore 17, Lauren Neuhoff 2, Katherine Vassallo 2. Records — Southaven 18-7, St. Benedict 12-12. USJ (74) — Ashton Hulme 6, Anna Jones 11, Emily Jones 7, Kaliegh Kwasigroh 2, Kallie Pickens 9, Sophie Stallings 5, Taylor Tenpenny 10, Morgan Williams 8, Carson Rogers 2, Claire Lewis 5, Ashley Carter 4, Lillie Homberg 5. St. George’s (31) — Isabel Dlabach 2, Sydney Brown 4, Ann Grissom 8, Grace Kinley 2, Anna Larizza 9, Makayla Smith 3, Adi Thrasher 3. East (41) — Kayla Freeman 22, Aaliyah Mitchell 2, Jaylin Perry 17. White Station (72) — Quential Battle 7, Kayla Bradley 4, Damiah Griffin 10, Kyla Harris 3, Zaire Hicks 11, Tamia Jones 12, Taelor Manning 6, Brittni Moore 12, Alexia Nightingale 2, Taylor Williams 5. Records — East 11-11, White Station 21-3 (10-1, 16-AAA). MBA (57) — Jada Chaney 2, Rikiyah Curtis 9, Simphany Gillard 17, Ashley Hopkins 7, Kamequa Rucker 18, Toni Adair 4. Freedom Prep (3) — T. Lee 2, A. Lomax 1. Tesia Thompson, Hamilton: An honoree for the third time this season, Thompson made her last regular-season home game against Overton one to remember Tuesday. The city's leading scorer poured in 41 points, grabbed 16 rebounds, handed out 8 assists and made 10 steals as the Wildcats rolled over their 16-AAA rivals, 76-32. Alexis Acoff, W.E.B. DuBois: As impressive as Thompson was, Acoff was maybe even more so in her team's 69-51 victory over GRAD Academy last Friday. 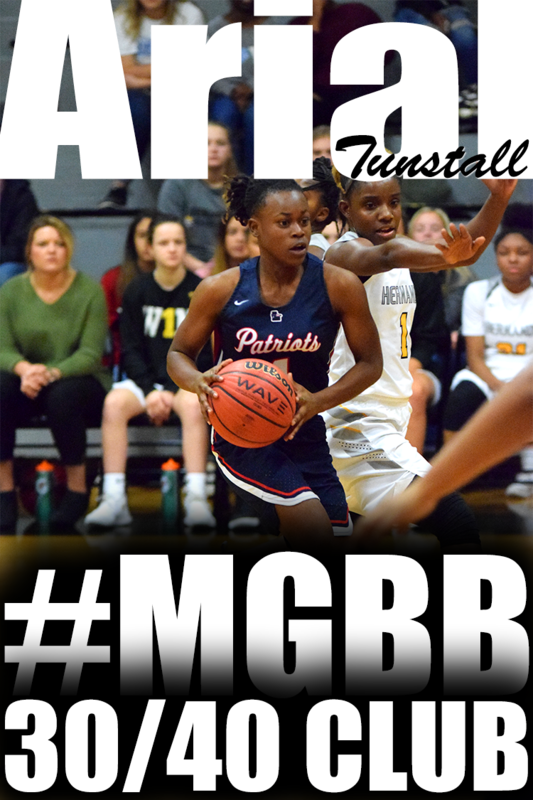 Acoff poured in 54 points, the most in a game for any Shelby-Metro player — male or female — since 2013, when Malinda Allen of Westminster scored 62 against Central Baptist. Briarcrest (64) — Alli Clarkson 2, Taylor Clemons 11, Anne Marie Hays 3, Caitlin Hunt 10, Morgan Hunt 8, Savanna Owens 17, Brianna Pope 3, Hannah Rendall 3, Alex Tiatia 2, Rochelle Wheeler 5. Bartlett (28) — MacKenzie Chandler 4, Kennedy Crawford 2, Toni Green 6, Ashley Payne 8, Teaya Reaves 3, Molly Word 5. Records — Briarcrest 18-8, Bartlett 8-14. Sheffield (63) — Markquiuna Henry 8, Nikita Mays 28, Infinity Robinson 11, Cabria Thomas 7, Destiny White 9. Douglass (38) — Charity Cooper 6, Monya Cross 3, Amber Garrett 4, Antonika Jones 21, Xavier Richardson 4. Power Center Aca. (57) — Surina Finnie 27, Jercia Garrett 10, Tatianna Kimber 9, Zebrianna Lee 2, Cara Samuel 1, Bernisha Steel 1, Kayla Williams 7. Hillcrest (13) — C. Dolby 3, Meghan Johnson 1, Kadeeja Patterson 9. Records — Power Center Aca. 16-6 (13-2, 16-A). Fayette Aca. (43) — Chloe Burnette 5, Sarah Layne Ellis 20, Autumn Gaither 3, Lauren Lessel 3, Hayley Moffatt 1, Anna Redman 2, Lizzie Rhea 2, Alex Wadley 7. St. Mary’s (54) — Lucy Chancellor 4, Hattie Fogarty 2, Kate Herzke 6, Jean Jackson 16, Joy Jackson 3, Jessica Lewis 2, Madison Motley 7, Margie Peeler 2, Evelyn Roberts 2, Mary Harper Robinson 10. Records — Fayette Aca. 17-8, St. Mary’s 3-18. GRAD Academy (43) — Andrica Barnes 4, Jasmine Collins 2, Shantel Collins 4, Ayana Coppage 2, Anteresa Dickson 9, Bianca Duckett 11, Jamia Ruffin 2, Jayla Turner 5, Jamiah White 4. Westwood (30) — Carleesia Austin 8, Anicia Clark 2, Jasmyn Long 12, Patrice Northington 2, Kasie Shannon 3, Kadaisha White 3. Arlington (38) — Karlee Bates 4, Sarah Grandberry 8, Christina Nichols 2, Nya Stewart 3, Lanetta Williams 4, Caitlyn Wilson 17. Northpoint (56) — Ashtyn Baker 29, Lauren Gross 5, Hannah Shafer 4, Jade Wells 10, Lindsey Whiteside 8. Records — Arlington 17-8, Northpoint 22-2. Others receiving 12 or more points: Central 13. Others receiving 12 or more points: Huntland 13. Bartlett (47) — Kennedy Crawford 6, Lenerra Gray 4, Toni Green 14, Hannah Patterson 7, Ashley Payne 8, Teaya Reaves 3, Kiya Sidney 5. Arlington (56) — Karlee Bates 12, Sarah Grandberry 4, Christina Nichols 6, Nya Stewart 8, Lanetta Williams 16, Lanyce Williams 6, Caitlyn Wilson 4. Records — Arlington 17-7 (6-0, 14-AAA). Kingsbury (25) — Marrisha Bell 2, Angilena Couch 2, Keyuna Couch 2, Mwavita Neema 6, Dariel Ray 13. Bolton (64) — Tamia Aldridge 10, Christina Craft 12, Keke Logan 9, Marquasia McGregory 9, Amelia Simpson 4, Keianna Thompson 8, Bree Tipton 10, Sophie Williams 2. Records — Kingsbury 3-12 (0-6, 14-AAA), Bolton 9-12 (5-1). St. Agnes (32) — Olivia Bernston 4, Kayton Foulks 2, Jordan Kleber 3, Lauren Lewis 3, Marisa Lewis 4, Caroline Pietrangelo 2, Lauren Ryan 8, Rachel Siano 2, Amelia Wigley 4. Briarcrest (57) — Alli Clarkson 2, Taylor Clemons 8, Anne Marie Hays 7, Caitlin Hunt 1, Morgan Hunt 12, Savanna Owens 12, Hannah Rendall 3, Jewel Robinson 4, Vi Stuart 2, Alex Tiatia 4. Records — St. Agnes 6-12 (0-4, Division 2-A), Briarcrest 17-8 (4-0). Harding (53) — Jacaila Davis 6, Alexandria Ellis 10, Sage Hawley 4, Hadley Horner 9, Antoinette Lewis 16, Carley Rhoads 8. Catholic (30) — Zareia Ector 6, Tia Flowers 7, Deyon Gibson 2, Harmony Lucas 15. Records — Catholic 14-8 (4-6, Division 2-A). White Station (73) — Quential Battle 15, Damiah Griffin 16, Kyla Harris 3, Zaire Hicks 7, Tamia Jones 16, Brittni Moore 13, Taylor Williams 3. Central (77) — Brianna Cooks 4, Kynadi Kuykendoll 4, Ariel Lane 6, Bionka Massie 8, Johne’ Stewart 27, Jireh Washington 28. Records — White Station 21-3 (9-1, 16-AAA), Central 21-4 (9-1). MASE (43) — Kayla Foster 4, Crystal Henderson 2, Rebekah Mitchell 16, Chastiny Moody 2, Kyla Moore 4, Shernika Spencer 15. City University (45) — Jalecia Cowan 8, Miracle Gober 15, Acacia Phillips 12, Jada Smith 1, Makayla Stout 4, Kenya Wilson 5. Records — City University 15-7. Wooddale (38) — Terrika Hunt 6, Tarsha Ivory 8, Takayla Roach 13, Iesha Thomas 3, Briana Williams 2, Brianca Williams 4, Jada White 2. Collierville (76) — Destiny Amaefula 6, Nadia Baker 12, Trinity Farmer 13, Gabby Harris 4, Kyra Pryor 4, Destiny Shaw 14, Alexis Taylor 5, Jada Taylor 8, Lauren Taylor 7, Ellie Willard 3. Records — Collierville 15-8 (9-1, 15-AAA). Jackson North Side (36) — Quayla Greer 5, Nakaylah Mercer 2, Destiny Nichols 10, Ambria Phillips 7, Kaylan Phillips 7, Eumiah Shaw 3, Daesan Strickland 2. Covington (69) — Tia Bland 13, Kiara Booker 13, Brinley Cousar 5, Kayla Davis 12, Destiny Foster 8, Malia Jarrett 1, Lamia Udley 4, M’dia Walker 12, Trinity Taylor 1. Records — Jackson North Side 0-18 (0-8, 15-AA), Covington 16-7 (7-1). ECS (49) — Emma Baltz 7, Kate Lyons 4, Molly Martin 18, Ava Newhouse 4, Madeline Slater 13, Adrienne Teed 3. FACS (38) — Rachel Nix 2, Katelyn Reed 12, Madison Spain 9, Gabbie White 1, Riley Willard 13, MacKenzie Youd 1. Records — FACS 3-14 (0-9, Division 2-A). Sheffield (47) — Markquiuna Henry 9, Alexis Jones 2, Nikita Mays 6, Infinity Robinson 12, Damonike Shipp 2, Cabria Thomas 8, Destiny White 8. 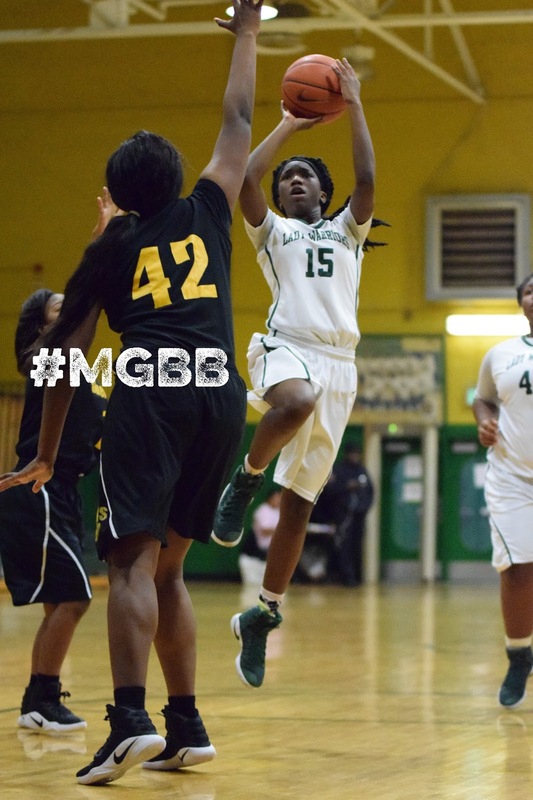 Fairley (36) — Dahja Caspillian 9, Diamond Douglas 18, Andrianne Ross 1, Denisia Williams 8. Records — Sheffield 16-4 (9-1, 16-AA). W.E.B. DuBois (69) — Alexis Acoff 54, Madelyn Acoff 1, Diamond Nelson 10, Ariel Thomas 3, Mya Guy 1. GRAD Academy (51) — Andrica Barnes 6, Jasmine Collins 2, Shantel Collins 2, Ayana Coppage 4, Anteresa Dickson 27, Bianca Duckett 2, Jamia Ruffin 2, Shauna Taylor 2, Jayla Turner 2, Dorothy Wright 2. Whitehaven (49) — Paige Harris 8, Dontrecia Johnson 15, Bianna Pettis 12, Alexus Williams 10, Jayla Woods 4. Hamilton (68) — Dakana Gardner 2, Danielle McAdams 2, Takya Reid 9, Tierra Reid 8, Tesia Thompson 31, Darry’l White 4, Kierra Wilkins 12. Germantown (28) — Cayla Cox 2, Elizabeth Laboe 2, Destinee Manning 11, Danielle Moore 3, Carria Smith 3, Tenitra Wilson 7. Houston (81) — Melisa Carter 5, Shaela Gardner 13, Madison Griggs 12, Jayla Hemingway 25, Sammiyah Hoskin 6, Rochelle Lee 2, Destinee Wells 18. Records — Houston 19-3 (10-0, 15-AAA). Northpoint (57) — Ashtyn Baker 17, Mason Branning 2, Micaela Brown 2, Lauren Gross 18, Amara McKay 2, Hannah Shafer 10, Jade Wells 4, Lindsey Whiteside 2. Lausanne (22) — Katherine DelPriore 6, Taa’lor Fondren 2, Selena Pruitt 14. Records — Northpoint (10-0, Division 2-A), Lausanne 16-9 (7-3). Trezevant (61) — Erissa Bland 2, Sachmere Bougard 4, Richara Cooper 5, Kiara Dale 4, Sade Hudson 31, Emma Jackson 2, Brandy Shannon 5, Kearra Tucker 4, Jaquiesha Vaughn 4. MLK Prep (32) — Dyrianda Johnson 13, Timeria McCullough 5, Tiera McNary 3, Quiesha Page 3, Timyja Threlkeld 8. Records — Trezevant 15-4 (10-2, 16-AA). East (46) — Kayla Freeman 14, Alexis Jones 6, Aaliyah Mitchell 2, Jaylin Perry 12, Jakayla Robinson 2, Japerria Robinson 3, Radarika Washington 4, Naterra Young 3. Melrose (44) — Kayla Johnson 13, Joelysa Spencer 16, Destinee Wallace 11, Zanndrea Watkins 4. Records — Melrose 7-16 (3-4, 16-AAA). Haywood (78) — Kedra Benton 6, Takiyah Benton 4, Laquita Galloway 6, Rashadoa Dancy 11, Victoria Perry 4, Jamirah Shutes 29, Jamya Turner 5, Antenyiah Washington 2, Wandarkyu Young 4, Kelsy Shutes 4, Kaitlin Leath 3. Millington (21) — Sky Clark 2, Traci Clark 6, Keyanna Jones 6, Kennedy Lamar 1, Marquisha Sanders 2, Kamyiah Tomlin 2, Kaitlyn Mickey 2. Records — Haywood 20-8 (8-0, 15-AA), Millington 2-23 (1-7). Manassas (45) — DeAndrea Davis 2, Latonia Farley 9, Uria Milon 8, Kyla Proctor 2, Starkisha Saine 3, Markeisha Scott 13, Timia Taylor 4, Brittney Windless 4. Raleigh-Egypt (70) — Tamyra Bland 2, Tasia Bland 11, Chardonney Brown 5, Taliyah Davis 4, Tamiya Hall 3, Zaykia Head 12, Diamond Hunt 2, Britney Johnson 11, Whitney Smith 4, Denery Spencer 2, Jada Watson 2, Ronni Williams 12. Records — Manassas 12-8 (7-6, 16-AA), Raleigh-Egypt 13-7 (10-1). Kirby (73) — Anteria Jackson 15, Desirea Jackson 20, Taylor Merrill 6, Marshala Shelton 4, Alexandria Toles 2, Juantia Walton 26. Southwind (82) — Kesala Allen 5, Jamyria Bolden 7, Shelbee Brown 11, Ya Ya Coleman 13, Kyra Hammond 2, Kira Lowery 24, Mattison Patton 7, Alize Williams 13. Records — Southwind 13-13 (6-6, 15-AAA). Hutchison (33) — Kaia Barnett 4, Elizabeth Farnsworth 3, Jordan Groover 4, Macy McCullough 2, Madison Moore 9, Maddie Prather 11. St. Benedict (45) — Catalina Carrasco 10, Kristina Ferris 10, Lily Gleneck 10, Myah LeFlore 13, Katherine Vassallo 2. Records — Hutchison 14-9 (1-3, Division 2-AA), St. Benedict 12-11 (3-1). St. George’s (37) — Isabel Blabach 2, Sydney Brown 5, Brook Goodman 2, Ann Grissom 5, Grace Kinley 2, Anna Larizza 6, Makayla Smith 10, Adi Thrasher 5. Tipton-Rosemark Aca. (54) — Kallie Alexander 2, Jordan Allen 1, Brianna Hall 12, Brittany Hall 4, Megan Sanfratello 18, Neely Turner 2, Abby West 15. Records — TRA 17-7 (9-1, Division 2-A). Chloe Moore is one of the main ball-handlers for Greenfield. She plays more on the perimeter and can knock down outside shots. Many thought that this year's senior class was the strongest freshman class three years ago to come through West Tennessee in a while. But this year's freshman class has eight players that are already giving their teams significant minutes and some are in starting roles. That freshman class three years ago included University School of Jackson's Anna Jones, Chester County's Paige Pipkin, Trinity Christian Academy's Brynne Lytle and Bruceton's Shominique Pearson. Three of those players have set the all-time scoring record at their school. Three of them have scored over 2,000 points in their career. Two of them have signed scholarships to play on the NCAA Division I level. This group of freshman has the ability to surpass that. 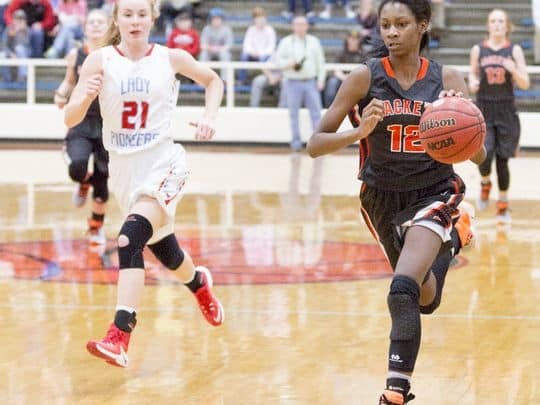 So who are these eight players that could take West Tennessee girls basketball to a new level (in alphabetical order)? • Tess Darby (Greenfield) has the ability to be an explosive scorer, and she has already scored 30 or more points on multiple occasions, including a 31-point performance against Union City on Tuesday. She is also a strong presence in the post. She has helped the Lady Yellowjackets to a 21-3 record on the season with a 14-1 mark in 14-A play as they try to close in on the No. 1 seed. • Emily Jones (USJ) is the younger sister of senior Anna Jones, and she has the potential to be as good as her sister. Emily Jones has adapted well to her role on the team and works to be an additional scorer to take the pressure off of her sister. She has the same body type as her sister, so she can play multiple positions on the court. She has helped USJ to a 22-2 record on the season with a 9-0 record in district play as the Lady Bruins are close to securing the No. 1 seed. Macey Lee (TCA) is the younger sister of junior Savannah Lee, who holds the school record for rebounds. 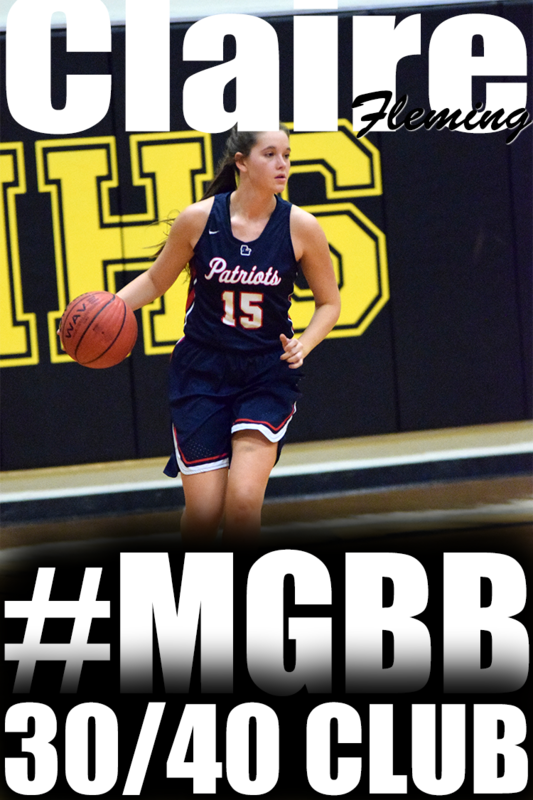 Macey Lee is a different player than her sister, as she is a perimeter player that can drive to the basket. Lee had success on the middle school level, and it has quickly transferred over to the high school level this year. TCA is 18-6 on the season with an 8-1 mark in 15-A play as the Lady Lions try to earn the No. 1 seed. • Chloe Moore (Greenfield) is the second Lady Yellowjacket on this list, but her play is different from Darby. 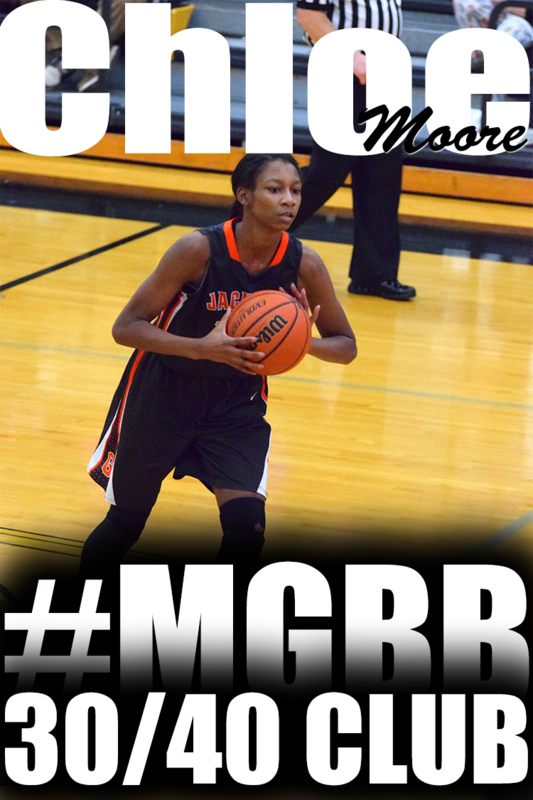 Moore is one of the main ball handlers for Greenfield, having already entered the starting lineup. She plays more on the perimeter and can knock down outside shots. She also played a key role in the Lady Yellowjackets' successful season. •Yasmine Pankey (Crockett County) has stepped right into a starting role for the Lady Cavaliers this season. She isn't going to be a top scorer every game, but she brings consistency on the court, especially on the defensive end. Pankey brings athleticism to the court that helps Crockett County get up and down the court. Crockett County is 15-8 on the season with a 4-3 record in 13-AA play to sit in third place. • Mikayla Peterson (Clarksburg) averaged over 12 points as an eighth-grader on the varsity team, and she has improved on that as a freshmen. Peterson is one of four freshmen that start for the Lady Rockets, but she is the leader of the group. Even with a young team, Clarksburg is 9-16 on the season with a 7-5 mark in 13-A play to sit in fifth place. • Kyla Taylor (Lexington) has stepped onto the court for the Lady Tigers that started the season inexperienced, and she has become a go-to player. 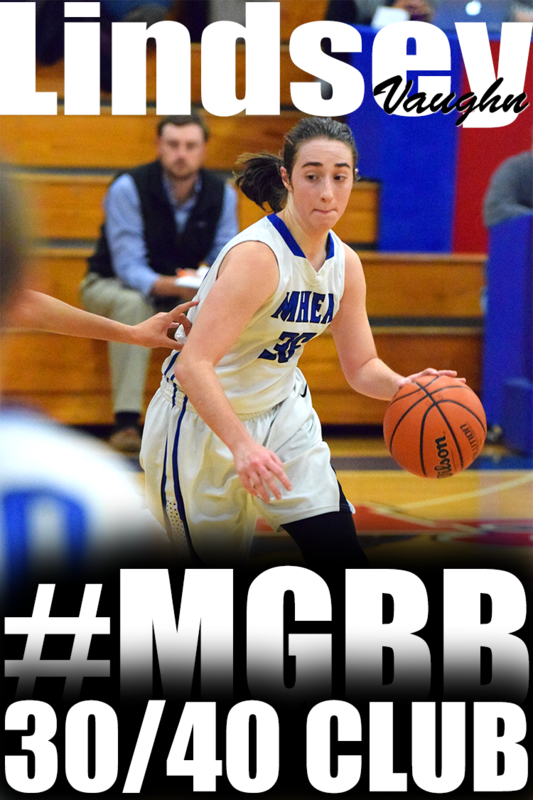 She can go off for 20-25 points per game, and at times she has recorded double-digit rebounds. Lexington is 13-10 on the season with a 4-3 record in 14-AA play to sit in a tie for third. • Kyla Wade-Warren (McNairy Central) is averaging around a double-double for the Lady Bobcats. She has stepped right into a long line of strong post players that have played for Jerry Lott. Wade-Warren has improved as the season has gone on and become stronger around the rim. McNairy Central is 9-12 on the season. Those are the top eight freshmen in the area, but there are three others that should be mentioned also that are showing potential with Dresden's Tinley Winn, Bradford's Dezerai White and Westview's Alexis Callins. MLK Prep (30) — Dyrianda Johnson 13, Timeria McCullough 2, Quiesha Page 3, Timyja Threlkeld 10, Uniqua Miller 2. Douglass (36) — Jennifer Fletcher 4, Amber Garrett 5, Antonika Jones 11, Leauntrest Readus 16. Macon Road (32) — RJ Allen 3, Hope Howlett 10, Emma Lutz 4, Amber Phillips 3, Katie Smith 12. Fayette Aca. (75) — Autumn Gaither 6, Emily Grantham 4, Emily Hunt 24, Lauren Lessel 13, Megan McClure 15, Hayley Moffatt 2, Anna Redman 4, Morgan Reed 3, Alex Wadley 2, Chelsea Jones 2. Records — Fayette Aca. 14-8. MAHS (14) — Tierney Echols 5, Kaithyn Hunter 3, Venesha Jett 6. Power Center Aca. (47) — Tasia Dukes 1, Surina Finnie 17, Jercia Garrett 10, Tatiana Gary 3, Tatianna Kimber 5, Zebrianna Lee 2, Cara Samuel 4, Kayla Williams 2, Destini Broadnax 3. Records — Power Center Aca. 13-6. White Station (70) — Quential Battle 12, Kayla Bradley 4, Damiah Griffin 11, Kyla Harris 2, Zaire Hicks 6, Tamia Jones 12, Brittni Moore 18, Taylor Williams 5. 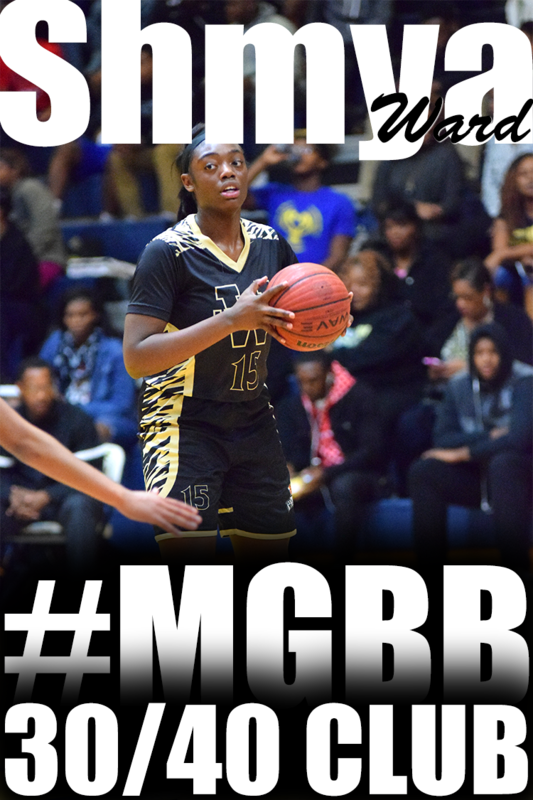 Whitehaven (55) — Jasmine Carson 12, Dontrecia Johnson 14, Bianna Pettis 7, Alexus Williams 11, Jayla Woods 11. Records — White Station 21-2 (10-0, 16-AAA), Whitehaven 17-6 (7-4). St. George’s (27) — Sydney Brown 7, Brook Goodman 5, Ann Grissom 2, Grace Kinley 5, Anna Larizza 4, Makayla Smith 2, Adi Thrasher 2. Fayette Aca. (44) — Sarah Layne Ellis 5, Autumn Gaither 4, Emily Hunt 5, Lauren Lessel 17, Megan McClure 6, Morgan Reed 1, Alex Wadley 6. Records — Fayette Aca. 13-8. Southwind (45) — Kesala Allen 4, Jamyria Bolden 2, Ya Ya Coleman 20, Kyra Hammond 8, Kira Lowery 7, Dazae Marshall 2, Alize Williams 2. Germantown (50) — Tahirah Bell 7, Elizabeth Laboe 3, Destinee Manning 11, Danielle Moore 9, Carria Smith 9, Kourtney Wallace 4, Tenitra Wilson 7. Records — Germantown 10-15 (3-7, 15-AAA). Central (81) — Asia Brooks 2, Brianna Cooks 14, Kailyn Downs 2, Kynadi Kuykendoll 2, Ariel Lane 4, Bionka Massie 14, Johne’ Stewart 27, Jireh Washington 16. Hamilton (49) — Nicole Buchanan 13, Diamond Kizer 3, Danielle McAdams 3, Takya Reid 3, Tierra Reid 3, Tesia Thompson 18, Darry’l White 1, Kierra Wilkins 5. St. Mary’s (26) — Lucy Chancellor 3, Kate Herzke 1, Olivia House 3, Jean Jackson 4, Jessica Lewis 4, Margie Peeler 2, Evelyn Roberts 5, Mary Harper Robinson 4. Hutchison (54) — Kaia Barnett 4, Kerrigan Braxton 5, Elizabeth Farnsworth 11, Jordan Groover 11, Carmyn Harrison 1, Macy McCullough 5, Madison Moore 12, Maddie Prather 5. Memphis School of Excellence (31) — Cassandra Brown 4, Zieta Lee 11, Iyanna Staley 2, Shantell Turner 8, T. Young 4, S. Woods 2. KIPP (53) — Bria Brown 24, Kristina Brown 4, Jocelyn Carr 2, Deshauna Clark 4, Shatera Howard 4, Anterraka Malone 11, Kayla Sprolls 2, Destinee Thomas 2. MLK Prep (56) — Dyrianda Johnson 16, Timeria McCullough 4, Quiesha Page 5, Amaya Palmer 4, Timyja Threlkeld 20, Brittney Wooden 2, Uniqua Miller 5. Manassas (60) — DeAndrea Davis 1, Latonia Farley 14, Uria Milon 6, Kyla Proctor 8, Charlesetta Riley 4, Markeisha Scott 12, Timia Taylor 15. Records — Manassas 12-7 (7-5, 16-AA). Overton (26) — Micah Calvin 2, Sabrina Harrold 2, Kelsi House 10, Bacardi Peoples 5, Safharee Scruggs 2, J. Jones 5. Melrose (56) — Janiya Carlton 3, Keonna Conner 8, Kayla Johnson 8, Jatera Miller 5, Joelysa Spencer 14, Destinee Wallace 10, Zanndrea Watkins 8. Records — Overton 3-17 (0-6, 16-AAA), Melrose 7-15 (2-4). Kingsbury (21) — Marrisha Bell 3, Angilena Couch 9, Keyuna Couch 1, Mwavita Neema 4, Dariel Ray 3, Diamond Wray 1. Trezevant (62) — Sachmere Bougard 4, Richara Cooper 3, Quinterria Foster 10, Sade Hudson 21, Emma Jackson 3, Brandy Shannon 15, Jaquiesha Vaughn 6. Derrenisha Jackson, Booker T. Washington: Jackson led the Warriors to four victories over the last week, highlighted by a 27-point, 12-rebound, 8-steal effort against Freedom Prep. She followed that up with 20 points, 6 rebounds and 4 steals against Memphis School of Excellence, helping the Lady Warriors secure their fourth straight trip to the SCIAA county championship game. Antoinette Lewis, Harding: The South Alabama signee turned in some consistently excellent performances over the last several days. 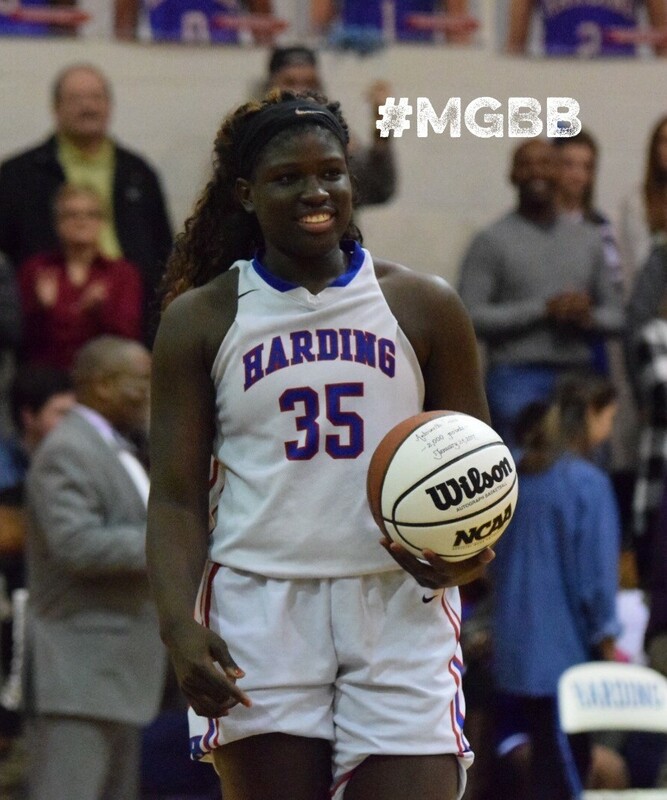 She scored 12 points and grabbed 16 rebounds against Lausanne (a game in which she went over 2,000 career points) and followed that up with 23 and 14 against St. Mary's. Lewis then had 14 points and 18 rebounds in a victory over FACS and 22 in Tuesday's win over ECS that improved the Lions to 21-4. Released by the Commercial Appeal on February 1, 2017. 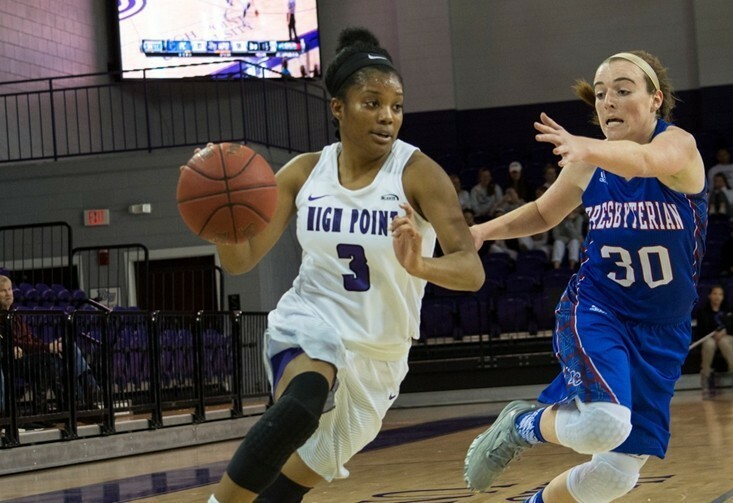 Kaylah Keys (Harding) become High Point's Division I Leader in made Trifectas. Kaylah Keys scored 19 points and hit 5-of-5 from beyond the arc to pass Jurica Hargraves and become High Point's Division I leader in made trifectas. Kingsbury (30) — Marrisha Bell 2, Angilena Couch 7, Mwavita Neema 11, Diamond Wray 10. Bartlett (86) — MacKenzie Chandler 10, Kennedy Crawford 16, Lenerra Gray 10, Toni Green 15, Makia Morris 2, Hannah Patterson 2, Ashley Payne 10, Teaya Reaves 8, Kiya Sidney 7, Molly Word 6. MHEA (43) — Annaliese Burnett 13, Kamille Clark 3, Kylie Loadholt 22, Lindsey Vaughn 5. Briarcrest (50) — Anne Marie Hays 7, Morgan Hunt 16, Savanna Owens 25, Brianna Pope 2. Records — MHEA 17-7, Briarcrest 16-8. Northpoint (60) — Ashtyn Baker 13, Micaela Brown 4, Lauren Gross 6, Amara McKay 7, Hannah Shafer 4, Caroline Swindoll 3, Jade Wells 8, Lindsey Whiteside 15. Catholic (33) — Zareia Ector 12, Deyon Gibson 6, Harmony Lucas 8, Leah Shaw 2, Cheyenne Smith 2, Shania Smith 3. Records — Northpoint 20-2 (9-0, Division 2-A), Catholic 14-7 (4-5). Power Center Aca. (69) — Tasia Dukes 2, Surina Finnie 28, Jercia Garrett 6, Tatiana Gary 16, Tatianna Kimber 9, Zebrianna Lee 2, Cara Samuel 2, Kayla Williams 4. City University (30) — Taylor Allen 6, Jalecia Cowan 8, Tezala Danner 1, Miracle Gober 5, Acacia Phillips 5, Jada Smith 2, Makayla Stout 2, Kenya Wilson 1. Records — Power Center Aca. 14-6 (11-2, 16-A), City University 14-7. Southwind (45) — Jamyria Bolden 7, Ya Ya Coleman 14, Kyra Hammond 6, Kira Lowery 10, Mattison Patton 8. Collierville (47) — Destiny Amaefula 4, Trinity Farmer 16, Kyra Pryor 2, Destiny Shaw 2, Alexis Taylor 2, Jada Taylor 6, Lauren Taylor 15. Records — Collierville 14-8 (8-1, 15-AAA). Raleigh-Egypt (50) — Tasia Bland 16, Chardonney Brown 3, Zaykia Head 3, Diamond Hunt 4, Britney Johnson 6, Whitney Smith 6, Ronni Williams 12. Craigmont (36) — Kymbriah Eugene 4, Mariah Houston 10, Akeria James 6, Jayla Jones 3, Jessica Neal 7, Alexis Roe 3, Antinique Williams 3. Munford (50) — DeAsha Banks 11, Gabby Crawford 21, Ali Gover 2, Shania Johnson 7, Johnna Jones 7, Mary Richardson 2. DeSoto Central (20) — Hillary Brooks 5, Zoe Hinds 1, Isabella Kail 5, Angela Ueal 2, A’mya Washington 5, Reana Wilson 2. Lausanne (61) — Bre Bullock 9, Hagan Carter 3, Katherine DelPriore 22, Sarah Edwards 3, Taa’lor Fondren 5, Addie Haverkost 3, Selena Pruitt 10, Kristen Wright 6. FACS (31) — Emily Delugach 3, Katelyn Reed 19, Madison Spain 1, Gabbie White 2, Riley Willard 2, MacKenzie Youd 4. Records — Lausanne 16-8 (7-2, Division 2-A), FACS 3-14 (0-7). Douglass (51) — Amber Garrett 2, Antonika Jones 21, Leauntrest Readus 23, Vekia Richardson 1, Xavier Richardson 4. Fairley (50) — Dahja Caspillian 10, Diamond Douglas 33, Tamaya McAdory 1, Denisia Williams 6. Bolton (55) — Christina Craft 8, Aliya Lee 2, Keke Logan 11, Marquasia McGregory 7, Amelia Simpson 6, Keianna Thompson 8, Bree Tipton 13. Germantown (62) — Tahirah Bell 20, Elizabeth Laboe 6, Destinee Manning 15, Danielle Moore 5, Carria Smith 11, Kourtney Wallace 2, Tenitra Wilson 3. ECS (42) — Molly Martin 23, Ava Newhouse 8, Madeline Slater 6, Adrienne Teed 5. Harding (49) — Jacaila Davis 2, Alexandria Ellis 7, Sage Hawley 2, Hadley Horner 6, Antoinette Lewis 22, Carley Rhoads 3, Nicole Savage 5, Sarah Luttrell 2. Records — Harding 21-4 (8-1, Division 2-A). 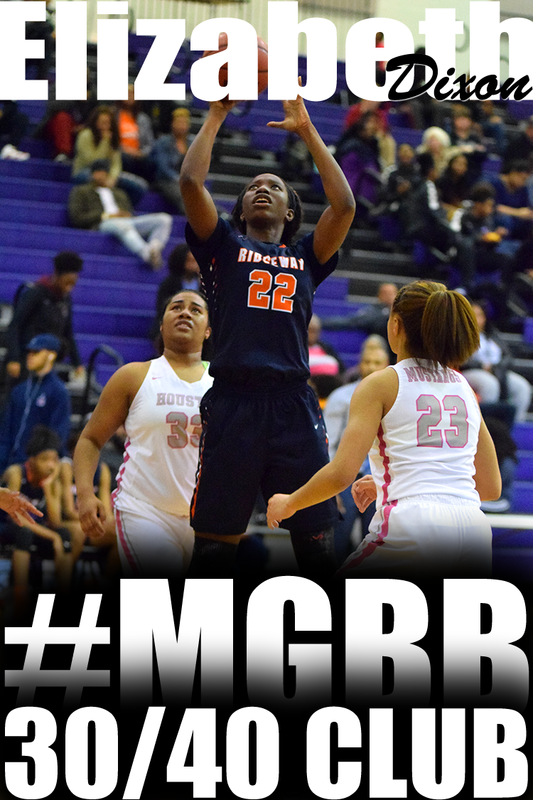 Ridgeway (33) — Takesia Barnes 6, Secret Brown 4, Makala Cheatham 2, Elizabeth Dixon 18, Mericle Hall 1, Fatimah Wells 2. Houston (49) — Melisa Carter 2, Shaela Gardner 3, Madison Griggs 5, Jayla Hemingway 24, Sammiyah Hoskin 2, Rochelle Lee 4, Shannon Sharp 5, Destinee Wells 4. Records — Houston 18-3 (9-0, 15-AAA). Hamilton (61) — Danielle McAdams 11, Takya Reid 15, Tesia Thompson 28, Darry’l White 5, Kierra Wilkins 2. Melrose (42) — Kayla Johnson 8, Jatera Miller 14, Joelysa Spencer 10, Destinee Wallace 3, Zanndrea Watkins 7. Covington (52) — Tia Bland 11, Kiara Booker 4, Brinley Cousar 2, Kayla Davis 12, Khylee Dowell 2, Fa’teshjia Russell 5, Lamia Udley 14, Trinity Taylor 2. Millington (15) — Traci Clark 3, Jermel Coleman 2, Keyanna Jones 4, Taylor Payne 2, Marquisha Sanders 4. Records — Covington 15-7 (6-1, 15-AA), Millington 2-22 (1-6). MASE (41) — Kayla Foster 6, Jerkisha Mays 1, Rebekah Mitchell 8, Kyla Moore 2, Shernika Spencer 21, Precious Stornes 3. Mitchell (82) — Vertonia Bady 16, Miata Borders 22, Demiya Grandberry 3, Chancey Jackson 5, Kiara McCollins 11, Derinisha Taylor 25. Records — Mitchell 22-3 (14-0, 16-A). Tipton-Rosemark Aca. (50) — Kallie Alexander 3, Jordan Allen 4, Brianna Hall 11, Brittany Hall 2, Eva McIntosh 2, Mary Catherine Turner 6, Neely Turner 13, Abby West 9. Rossville Christian (8) — Madison Anderson 6, Ruby Morgan 2. Records — Tipton-Rosemark Aca. 16-7 (8-1, Division 2-A). Brighton (32) — Taliyah Brown 7, Kailey Hunt 2, Aubree Jones 5, Sylvia Jones 6, Onyx Magno 3, Lindsay Morrissett 7, Mary Grace Smith 2. St. Benedict (56) — Catalina Carrasco 8, Benise Duhart 5, Kristina Ferris 10, Lily Gleneck 14, Myah LeFlore 17, Lauren Neuhoff 2. Records — Brighton 7-13, St. Benedict 11-11. W.E.B. DuBois (44) — Alexis Acoff 18, Madelyn Acoff 12, Diamond Nelson 14. Washington (56) — Angela Bowie 3, Treanae Carter 1, Derrica Crumpton 2, Carnesha Griggs 5, Derrenisha Jackson 23, Asia Mosley 15, Hermeisha Perkins 2, Kaylen Perkins 5. Records — Washington 17-5 (14-0, 16-A). MLK Prep (46) — Dyrianda Johnson 12, Timeria McCullough 3, Quiesha Page 16, Timyja Threlkeld 13, Brittney Wooden 2. Westwood (31) — Carleesia Austin 17, Jasmyn Long 5, Kasie Shannon 5, Kadaisha White 4. Records — MLK Prep 6-14. East (58) — Jamiya Bell 9, Kayla Freeman 11, Alexis Jones 5, Aaliyah Mitchell 6, Jaylin Perry 17, Jakayla Robinson 10. Whitehaven (60) — Jasmine Carson 12, Paige Harris 2, Dontrecia Johnson 19, Bianna Pettis 5, De’Aysia Reeder 4, Alexus Williams 18. Records — Whitehaven 17-5 (7-3, 16-AAA). Kirby (60) — Bryunna Buntyn 2, Anteria Jackson 12, Desirea Jackson 25, Alexandria Toles 2, Juantia Walton 19. Wooddale (38) — Terrika Hunt 5, Tarsha Ivory 7, Takayla Roach 10, Briana Williams 4, Brianca Williams 12. Tipton-Rosemark Aca. (71) — Jordan Allen 5, Brianna Hall 10, Eva McIntosh 19, Autumn Payne 2, Mary Catherine Turner 6, Neely Turner 15, Abby West 10, Emily West 4. Macon Road (30) — RJ Allen 2, Janina Alpizar 4, Hope Howlett 4, Emma Lutz 2, Katie Smith 14, Bre Wilson 4.